As a member of The Kennel Union of South Africa there are strict standards that its members must adhere to. At Camelwest we strive not only to endorse those standards but to exceed them. 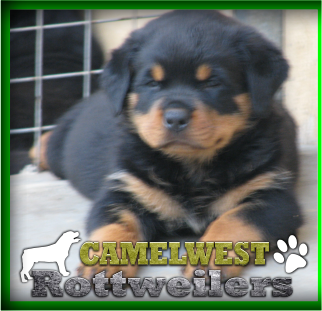 At Camelwest we sell our puppies only to good homes. We are passionate about our OWN bloodline (30 years) to ensure good temperament and loyalty. The puppies are all raised in a home environment as part of our own family and as a result they are not vicious dogs but well adapted and friendly towards their owners. Happy dogs are healthy dogs and we believe in letting dogs run around on our small holding and allow them to swim in the natural dam on the property.